MediaINFO Digital Library has prepared an array of exciting new features to be announced during CeBIT 2017. Our Distributor SMA Electronic Document GmbH will be there to answer your questions and arrange hands-on experiences. Be on a lookout for the famous SMA Yellow/Black colors. MediaINFO Digital Library has never performed better ! Visit us at SMA booth Hall 3, Stand B02. Geneza develops solutions for organizations seeking to better present, control, search, and manage their content. Whether your content is still only in physical form, partly digitized, in PDF, ALTO/METS, flat tiff. We can provide an end-to-end solution that will cover your requirements. Geneza is trusted by some of the world’s largest and most respected libraries, academic institutions including The National Library of Norway, UAE Ministry of Higher Education, The Slovak University of Technology, University Library in Lausanne, University Library in Bratislava and many others. SMA is a leading manufacturer of manual and robotic book scanners, large format flatbed scanners, archive writers, microfilm processors and micrographic consumables. Further we are the German sole distributor for E-ImageData and Metis.We distribute our products to more than 100 countries worldwide. 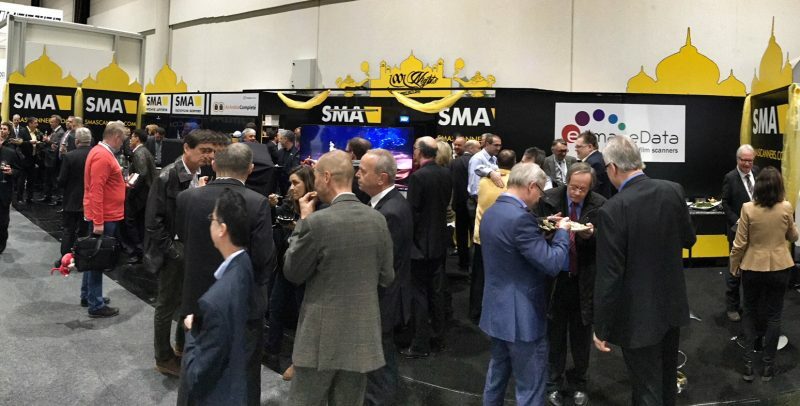 SMA has become a solid name in archives, libraries and the private industry around the world.